Departments & Services - Indo-OIC Islamic Chamber of Commerce and Industry has the following departments, where IICCI will work in OIC Nations Members and other World. Provision of informative services within activity of Enterprise Network. Design and analysis of proposals for the effective innovation infrastructure establishment across India & OIC Nations in order to fully support and promote small and medium-sized innovative enterprises. Provision of innovation business incubator services for India & OIC Nations small and medium innovation businesses, as one of the key elements of the innovation infrastructure. The creation and development of small and medium-sized innovation enterprises communities. Expert examination and selection of innovation projects, consulting on project promotion and investor relations. 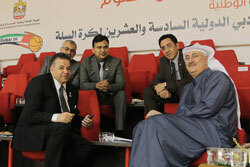 Conferences and forums organization on the topic of innovation. Assistance in the formation of the angels and venture capital investors association in India & OIC Nations and active promoting in obtaining broad international support. 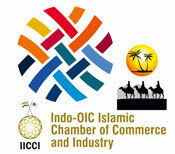 According to the Law of India & OIC Nations, On the Chambers of Commerce in India & OIC Nations, IICCI keeps a non-government register of India & OIC Nations companies whose financial standing proves their sustainability as business partners in India & OIC Nations and abroad (Register of Reliable Partners). Certificates issued by the Chamber to such companies facilitate transparency of international economic co-operation and testify to reliability of India & OIC Nations companies vis-a-vis their foreign counterparts. The Certificate of Good Standing is an extra evidence for the India & OIC Nations companies in conducting business negotiations, concluding contracts, participating in international tenders. Please, ask for a CERTIFICATE OF GOOD STANDING issued by the Chamber of Commerce when dealing with your India & OIC Nations business partner. Name of entity, address, phone and fax numbers; main products/services. Requisites for search: company name, product/service. Name of entity, address, phone and fax numbers; managerial staff; representations; sales/turnover, number of employees, range of products/services. Requisites for search: company name, activity, product/service. Name of entity, address, phone and fax numbers; year of establishing; managerial staff; structure, subsidiaries, affiliates, representations; main rates of activity -volume of production, sales, profits, number of employees etc. ; ratios - paying ability, efficiency, profitability; range of products/services. Requisites for search: company name, activity, product/service. Brief information on the particular inquiry concerning the wide range of a business information: statistical, economical, financial data and indexes. Reference in different business, commercial, foreign economic, legislative, protocol matters, which requires professional knowledge, special subject analysis. World, local, retail/wholesale, reference, indicative etc. prices on raw materials, equipment, products and articles from IICCI' information sources. The analysis, price's monitoring of production/goods, services. Cost definition or an estimation of property: complete property complexes; real estate, equipments, objects of not finished manufacture, confiscated property, insurance objects. Custom duties, excise-duties, VAT, licensing, quotation, certification, ecological control and other export/import regulating norms by HS (Custom) codes. Arranging and conducting of marketing research; monitoring of markets, branches, product groups, particular product/service. Report includes information on common questions, requirements and regulation for supplying India & OIC Nations products to India & OIC countries, custom tariffs, taxation, rules of origin, safety regulation, official control and hygiene (e.g. for foodstuff products), certification, technical requirement and specific requirements etc. Placing of business offers/inquiries according to the application of the customer in the IICCI's «Business opportunity» database. Search of business offers/inquiries in the IICCI's Business opportunity database and special issues according to customer requirements with further transfer to the customer. Concurrent publication of customer's offer/inquiry in main India & OIC Nations business editions. Dispatch of customer's particular standard business offer/inquiry to the previously selected India & OIC Nations potential partners with the purpose of business projects realization. Transfer to the customer of the direct mail list in order to establish direct contacts between them. General information (name, date, subjects, contact details of organizers) on business external/internal economic measures: exhibitions, fairs, symposiums, seminars, conferences taking place in India & OIC Nations. Search, selection, making out copies of information materials from IICCI' information resources according to the customer needs. Services are rendered upon receipt of the customers guarantee inquiry. Minimum order for any service is USD 30. Service are rendered in standard, urgent and express conditions with the respective rate 1; 1,5; 2. Payment for a service may be made by bank transfer, by check or by cash to the bookkeeping of the Indo-OIC Islamic Chamber of Commerce and Industry. Orders are being given to customers against presenting of the payment document. Confirmation of Force Majeure for further writing off bad tax debt for businesses and individuals, residents and non-residents taxpayers. Certifies documents (certificate of origin, phytosanitary and veterinary certificates and other documents needed for foreign economic activity of India & OIC Nations businessmen) for further legalization by the Embassies (Consulates) located in INDIA. Representation and protection of the entrepreneurs' rights in the International Commercial Arbitration Court at the Indo-OIC Islamic Chamber of Commerce and Industry. Legal review of contracts (agreements). Consultancy and interpretation on commercial law and foreign trade. Legal protection, representation of India & OIC Nations Chamber members against counterparties in the courts, public authorities. Interpretation during negotiations, assembly work and adjustment of equipment, as well as during conferences, workshops etc. Quality testing, checking quantity and completeness of imported and India & OIC Nations goods, raw materialss and equipment (ship, carload, automobile parties, at storage in warehouse) in conformity with the contracts requirements, standards, other normative documents, including laboratory testing. Definition of finished goods made on commission release. Fulfillment of a package of formalities of customs clearance of goods under contract.